Exhibition Dates: May 2 – 20, 2018. The striking beauty of landscapes and oceans has always fascinated fibre artist Diane Roy. 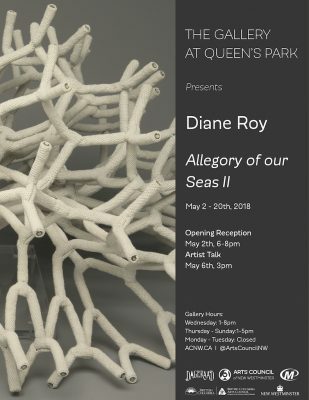 Roy uses a variety of knots, bends, weaving and crochet to produce her marine formations. The mystical characters seen in the deep and shallow waters steer Roy’s practice and has deepened her concern for the fate of our oceans and the creatures that inhabit them. Her material exploration utilizes recycled materials to promote the idea of re-using in the process of art making, while raising awareness for our natural world. Born in Ontario, Diane Roy grew up in Abitibi-Témiscamingue, Québec. In 1977, she received a D.E.C in Art and Literature from college in Rouyn, Québec. In 1980, she graduated in Fine Art and Education from the University of Québec in Chicoutimi. She took part in an exhibition on tour across Canada in 1980. From 1982 to 1986, she lived in Edmonton, Alberta, where she began a production of fibre sculptures. She received a production grant from Alberta Culture in 1984. 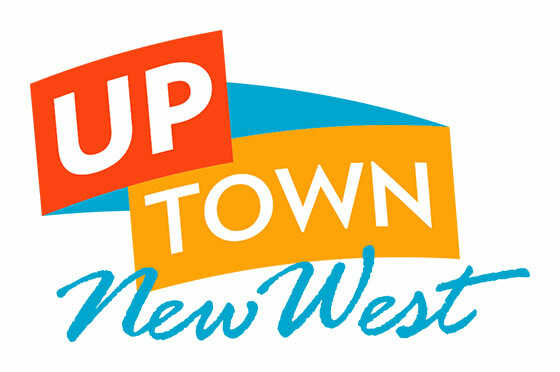 She has lived in Vancouver, British Columbia since 1986. From 1986 to 1990, she studied the medium of holography while pursuing her work in fibre art and education. She has represented Canada in an international show in Morocco, in 1989. She participated in International Textile exhibition in Japan (1994), France (1996) and Spain in (1998). In 2014, she has shown a first retrospective of her work dating from 1980-2014 in 2015, she achieved her first public art project in North Delta, B.C.